Pictured from left: Dan Hare, executive director of the Alumni Association; Mrs. Barbara Authement; Dr. Ray Authement; Theresa Gaspard, Associaton's immediate past president, and Martin Audiffred, Association's president. The University of Louisiana at Lafayette Alumni Association recognized President Ray Authement and his wife Barbara Authement during Homecoming 2007 Week for their loyalty and support of the university. Authement is the recipient of this year’s Outstanding Alumni Award – the highest honor the university bestows upon a former student. It is given in recognition of outstanding profession and personal achievements that have brought honor and distinction to UL Lafayette. Mrs. Authement is the recipient of the Honorary Alumni Award – an award rarely given. It is presented to a person who is not an alumnus of UL Lafayette, but who has earned this recognition and honor through loyalty, service and support of the university. Past recipients include Mary Olive McPhaul, Margret “Peggy” Colomb and Alfred Lamson. The Alumni Association’s Awards Committee made the selections. Authement, the nation’s longest serving public university president, announced his retirement earlier this year. He was named the university’s president in 1974, after serving as acting president for a year. 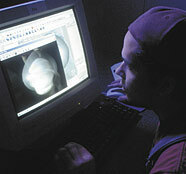 Under Authement’s guidance, the UL Lafayette has become a major economic force in Acadiana, while earning a national reputation in the fields of computer science, environmental and biological research, and Francophone studies. He is responsible for the development of University Research Park, which houses numerous national research centers, the LITE facility and a hotel. Recently, the Carnegie Foundation designated UL Lafayette as a “research university with high research activity.” That puts UL Lafayette in the same category as Clemson, Auburn and Baylor universities. He was a major force in successful efforts to change the name of the university from the University of Southwestern Louisiana to the University of Louisiana at Lafayette. Since Authement became the university’s fifth president, Louisiana’s Ragin’ Cajuns have competed in NCAA Division 1, the highest level of collegiate athletic competition. The football team is a member of NCAA Division 1-A. A $130 million construction boom on campus in the past decade produced the Paul and Lulu Hilliard University Art Museum; Moody Hall, which houses the B.I. Moody III College of Business Administration; a new computer science building; and Legacy Park, an apartment-style student residence on campus. Edith Garland Dupré library was expanded and totally renovated. A 400-plus parking garage and an indoor practice facility for UL Lafayette’s athletic teams are under construction. Earlier in his presidency, Authement supervised construction of several other buildings, including the 12,800-seat Cajundome and an adjacent convention center. UL Lafayette’s gifted assets surpassed $100 million during the Investing in Our Future Centennial campaign under Authement’s direction. UL Lafayette has 22 endowed chairs; each valued at $1 million. It has two endowed chairs funded entirely through private sources. The most recent addition to the university’s funded chairs is an endowed super chair in telecommunications, valued at $2 million. The university has more than 239 endowed professorships, valued at $100,000 each, through the Board of Regents’ matching program and 29 endowed professorships funded through private sources. When Louisiana’s oil industry virtually collapsed in the early 1980s, the university, under Authement’s direction, led efforts to diversify the area’s economy. For example, it helped existing businesses operate more efficiently, offered assistance to fledgling companies and showed businesses how to to obtain government contracts. He earned a bachelor ’s degree from the University of Southwestern Louisiana in 1950; a master’s degree in 1952 from Louisiana State University and a doctoral degree from LSU in 1956.